Mit dem neuen K-Tape My Skin habe wir auch das Design unserer Marke und das Design unserer Verpackungen überarbeitet. / With the new K-Tape My Skin we also have a new design of our brand and the Revised design of our packaging. 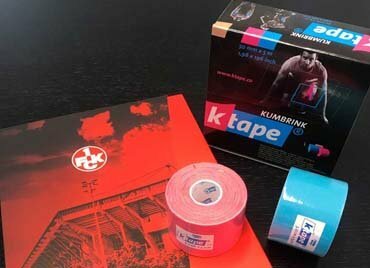 K-Taping® Academy auf dem Kongress des deutschen Hebammenverbands in Leipzig. / K-Taping® Academy at the Congress of the German Midwives Association in Leipzig. 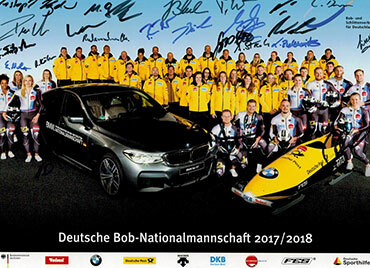 Wir freuen uns über die Grüße unserer Bob-Nationalmannschaft und gratulieren zu den Erfolgen. We are grateful for the greetings of our bobsleigh team and congratulate on the success. 2. Auflage auf russisch erschienen. 2nd edition published in Russian. Eröffnungstag der Arab Health 2018 in Dubai. Opening day of the Arab Health 2018 in Dubai. Die K-Taping® Academy ist wieder auf der Arab Health. The K-Taping® Academy at the Arab Health. 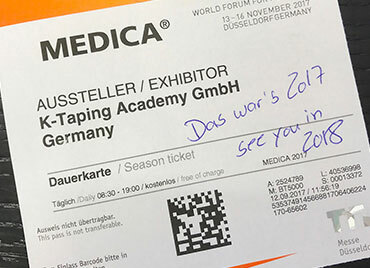 K-Taping® auf der Medica 2017. K-Taping® at the Medica 2017.
biviax geht mit dem 1. FCK in die Verlängerung. biviax and the 1. FCK are going into extra time. K-Taping® Academy Kurse in Hong Kong. K-Taping® Academy courses in Hong Kong. Copyright © 2019 biviax GmbH & Co KG. All rights reserved. K-Tape, K-Tape My Skin, K-Tape Pre-Cut, K-Tape For Me, K-Taping, Physiobond, Crosstape, Crosspuncture, PreKGel are registered trademarks in Germany, Europe, USA, Canada and many more countries.